Right now, being a homeschool mom and driving my kids to therapy and extracurricular activities takes most of my time. I do work part-time from home in a very limited basis, but I know in less than 10 years, my kids will be grown and I might like to find a career outside the home. The question is, what would I like to do? 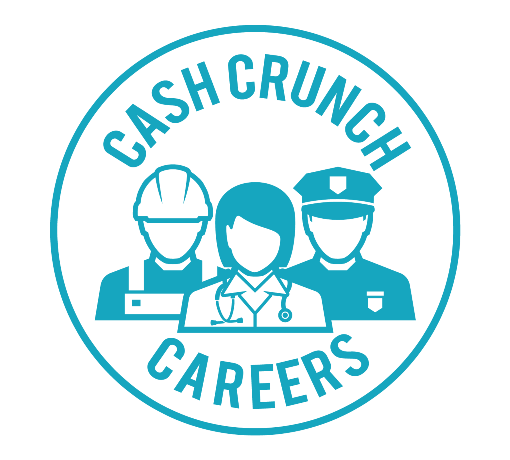 CashCrunch Careers by CashCrunch Games offers a way to determine potential careers through a brief questionnaire. I took it as did Bookworm, who is 14 now. CashCrunch Junior–A physical board game for kids ages 5 to 12 to teach them the value of money, denominations of money, and making change. CashCrunch 101–This free game is for kids in high school and college. It can be played online, and thanks to a revamp of the original game, you should be able to, if you’re interested, play competitively with others in your school, classroom, statewide, and nationwide. Personal Finance Bite Size–This ebook contains 21 30 minute personal finance lessons. If you’re a member of Schoolhouse Teachers, you can find this ebook there as a course for free with your membership. 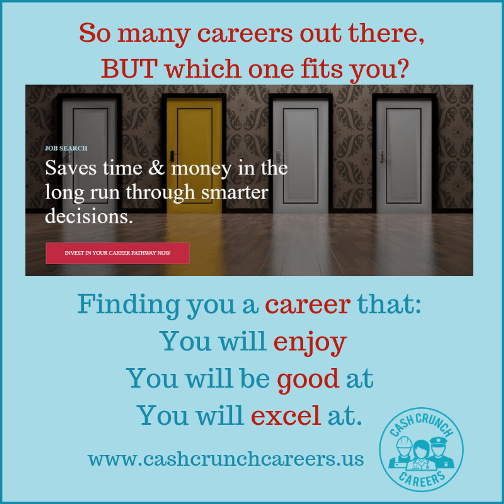 Vasey created CashCrunch Careers because he was frustrated by the current cycle American students take–pick a college, choose a major, get qualified, then find a job, and hop from job to job throughout their career. Instead, he’d like to see students use CashCrunch Careers, find out what they’re good at, then decide on a career, then get certified. To begin, you’ll need to take a short 10 to 15 minute long survey. This will generate the information you need to use CashCrunch Careers effectively. Bookworm’s list was markedly different than mine. I think both of are lists do a fair job of reflecting our motivators and de-motivators. Under Career Match, you’re given 20 potential jobs. I was surprised to see that many of my jobs were for management positions, which, honestly, I don’t think I’d like. I definitely don’t consider myself a leader. Educator did make my list, which is the job I had for 13 years before I quit to stay home with my kids and is the job I currently have with my own children. What didn’t make the list explicitly was writer, which is what I currently do and what I envision myself doing in the future. “The career categories for most people will be the same, even though the reports should suggest huge differences. If you click on each career, you’ll see what the career entails as well as how quickly the careers are expected to grow or how slowly. Overall, I love the concept of this program and the fact that once you sign up, you have a lifetime subscription and can keep coming back to review your data. However, I would love to see the Career Match be more specific. I’d like to see within each career, the computer generate the specific area I would be best at within each field. Finally, I don’t really see myself as management material, so I’m a bit perplexed by the many management positions the product says I’d be suitable for. Otherwise, I find the rest of the information on target and well-suited for both my personality and Bookworm’s.